1. Today will be a historic day for Malaysia. For better or for worse. I am referring to the Bersih 2.0 rally that is going to be held in KL later in the day. What will happen? I don't know. I am not into dirty politics and rallies - all I want is a peaceful country where I can live happily. 2. Please don't ask me if I support Bersih. I cannot tell you. There are so many hidden motives among all those involved with this issue that I don't know what to believe anymore. All I can say is "Trust No One". 3. Last night, I had beef noodles for dinner. I simply love the beef noodles at Pho Hoa Vietnamese Restaurant. If you have not tried it, please go and try! I simply love the tasty soup which is filled with fresh coriander leaves, bean sprouts and basil leaves. And of course the beef in the form of brisket, flank, tendon and tripe! The chili sauce also gives the dish lots of oomph! 4. PappaRich changed its menu and hiked the prices recently, much to my horror. I already found PappaRich to be quite expensive earlier and now I think it's not even worth eating there! The new menu looked more "high class" and there were over 30 new items but the food quality did not improve in any way. In fact, at certain outlets, the quality was downright terrible. If I am going to pay RM20 for a plate of char koay teow and a cup of coffee, I might as well eat at Pho Hoa! 5. I was tempted to try the durian mochi at PappaRich but they told me the mochis were out of stock! Oh well, I don't even expect it to be nice anyway. At that price, I wonder how big or small the mochi is! In any case, I think the safest food to eat at PappaRich is their bread, especially their steamed bread! 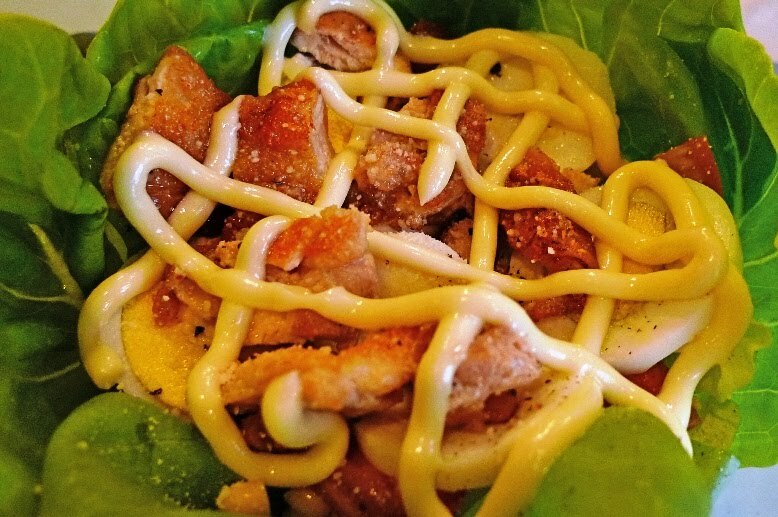 Now that is the only food I highly recommend at PappaRich! 6. Do you know you can now play Angry Birds on your PC using Google Chrome? I have already completed Level 7 in Angry Birds Rio on my iPhone. Now I am patiently waiting for the release of the next level. Meantime, I think I shall play Level 1 again and try and better my previous scores! 7. Late one night, I woke up from my sleep at about 3am and did what I usually would not do - looked out my bedroom's window. 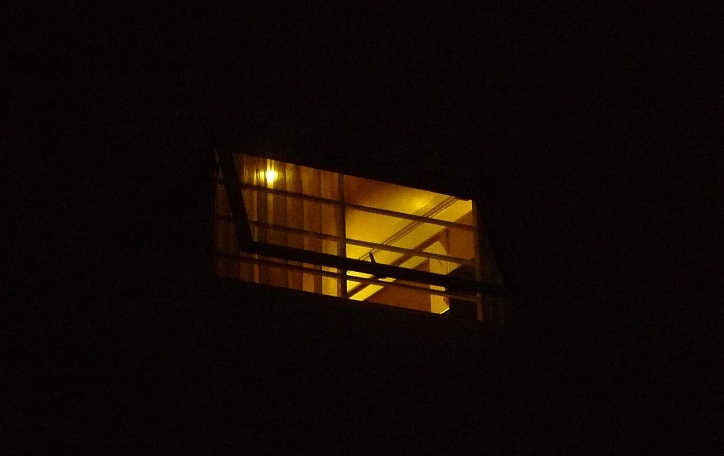 Imagine my shock when I saw a dark figure staring at me from my neighbour's room! I even took a picture of it using my iPhone. What do you think? Is that a person looking at me? The next night, I peeked out my window again but that room was all dark so I could not be sure if anyone was standing in there! Whoever that person is, I am very sure he or she is not one of my neighbour's family members. 8. I think I am not very fond of Mille crepe cakes anymore. 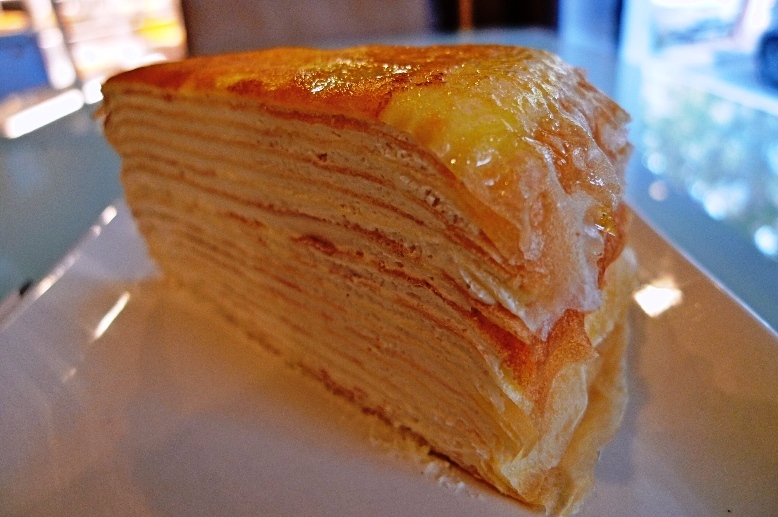 I don't know why but since I ate the crepe cakes at Nadeje in Melaka, I have lost interest in such cakes. I am not even keen to eat the ones at Food Foundry in PJ. I wouldn't say the crepe cake at Nadeje was bad or anything, in fact, I loved it at first bite but after that I just found it way too creamy for my liking! Oh well, maybe I should try Humble Beginnings - perhaps it can rekindle my love for crepe cakes? 10. I don't normally buy breads from the bakery nowadays. I used to buy breads from Bread Story or Bread Talk, but not any longer. Bread is just not a very healthy food! But recently, I bought some bread from Lavender Bakery at Mid Valley Megamall and fell in love with them!